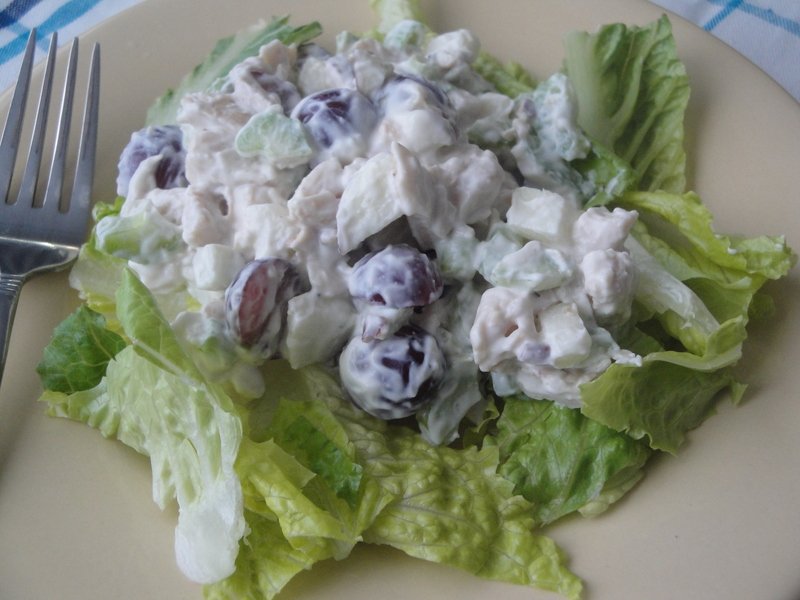 This recipe for Waldorf Chicken Salad was buried in a cancer-fighting meal plan on Self Magazine’s website. Don’t pass by meal plans like these in magazines when you see them because they are usually very easy, healthy and full of great ideas. 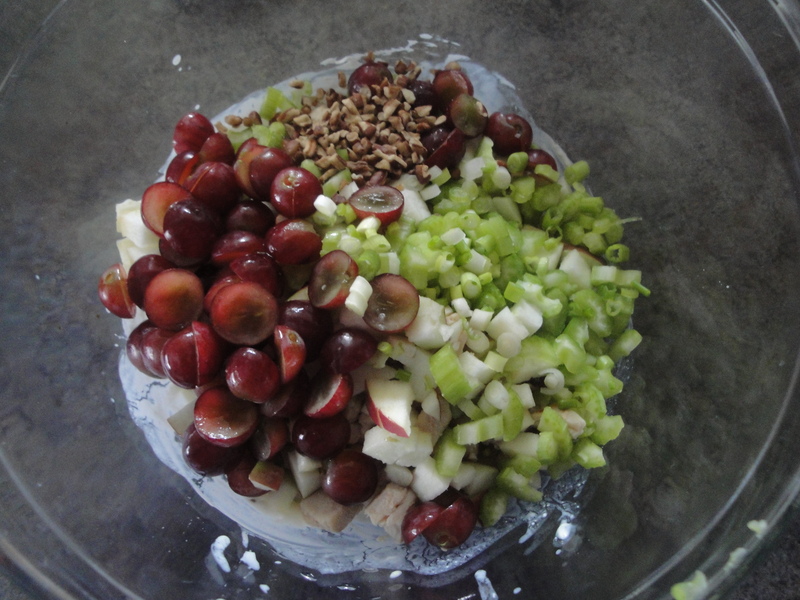 I don’t normally eat Waldorf salads even though they are full of all kinds of things that I love like apples, grapes, celery, and walnuts. I suppose it is because they are dressed in mayonaisse, making them a wanna-be healthy girl’s enemy. This version has a teeny-weeny bit of mayo but also uses plain yogurt which cuts the calories. 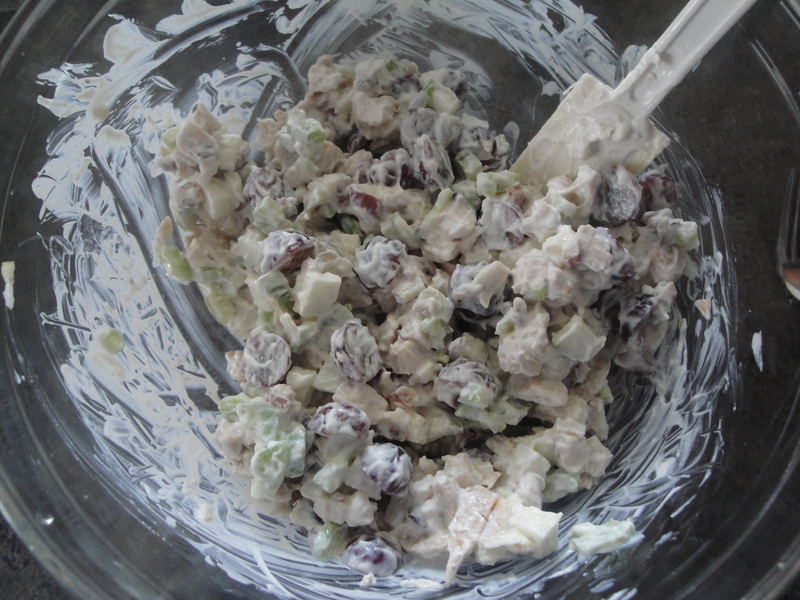 I used non-fat Greek yogurt which is tangy but is complemented by the sweetness of the grapes and apple. This is a great use for any leftover chicken you might have on hand or if you’re in a hurry, use precooked chicken strips like I did (I love Perdue Short Cuts). I didn’t use walnuts this time (even though they are one of my faves) but instead used chopped pecans because I had them on hand. 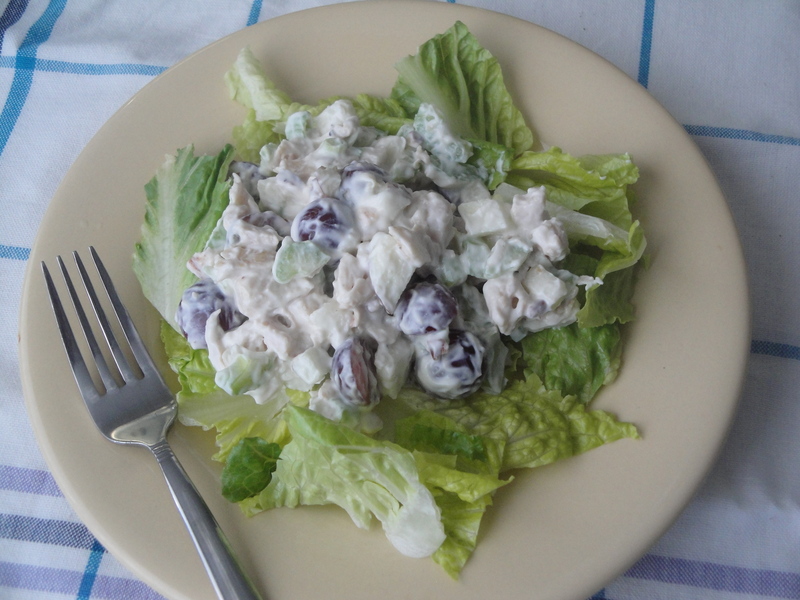 Since chicken salad usually just tastes better as flavors meld, make this over the weekend and keep it in the fridge for a few quick workday lunches. 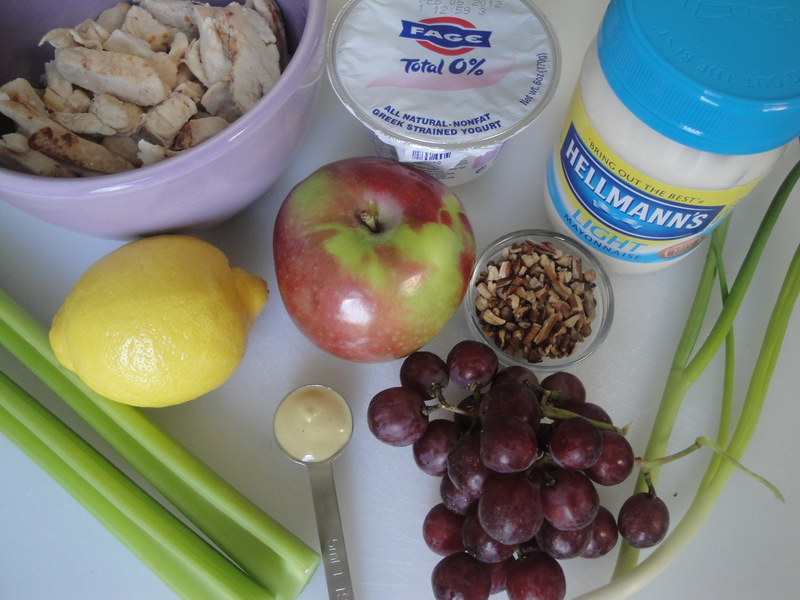 In a bowl, mix yogurt, low-fat mayonaisse, mustard, lemon juice, salt, and pepper. Serve over your favorite greens. Great idea! I haven’t thought of this in years. 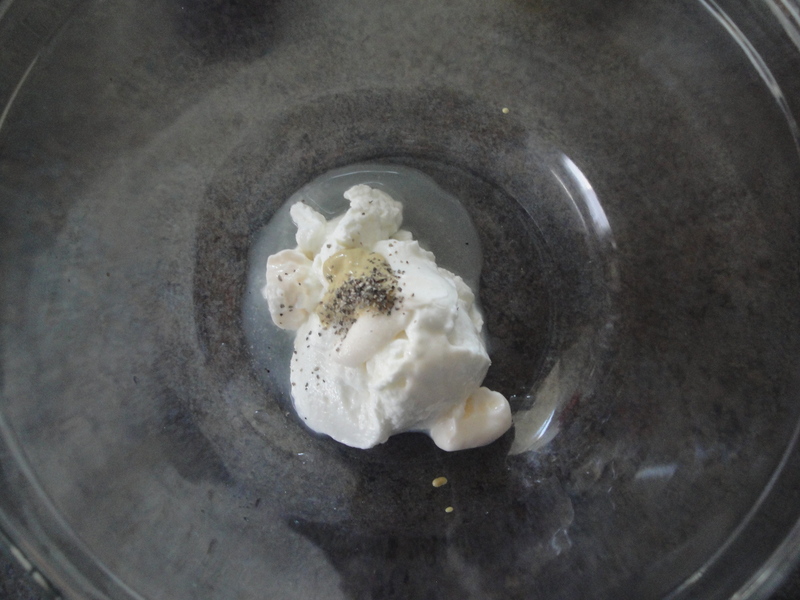 I use non-fat Greek Chobani for a lot of recipes that call either for sour cream but not as often for mayo. 🙂 This will be on our table soon!